You must be a member of Domain Admins or WSUS Administrators group to perform this method. Do not edit the Default Domain or Default Domain Controller GPOs as this is not a good practice. If your network is more complex you might have multiple GPOs linked to several organizational units (OUs) and that you may have different WSUS policy settings applied to different types of computers. Open up Update Services, expand Computers, and then click on All Computers. From this Tutorial I will select Update Services Client Computers then click on Add Computer Group from the Actions Pane. You may choose any that applies to your needs except for Unassigned Computers. Now, you will see the Computer Groups have been added. Locate the Organizational Unit (OU) that you wish to apply the GPO Policy to. Open the GPO Editor, expand Computer Configuration, expand Administrative Templates, and expand Windows Components then select Windows Update. 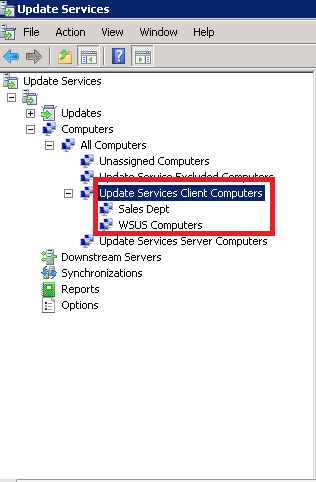 Double click on the Enable client-side targeting and click Enabled, then type the name of the computer group that you have created in the Update Services or WSUS Console. Click OK when finished. 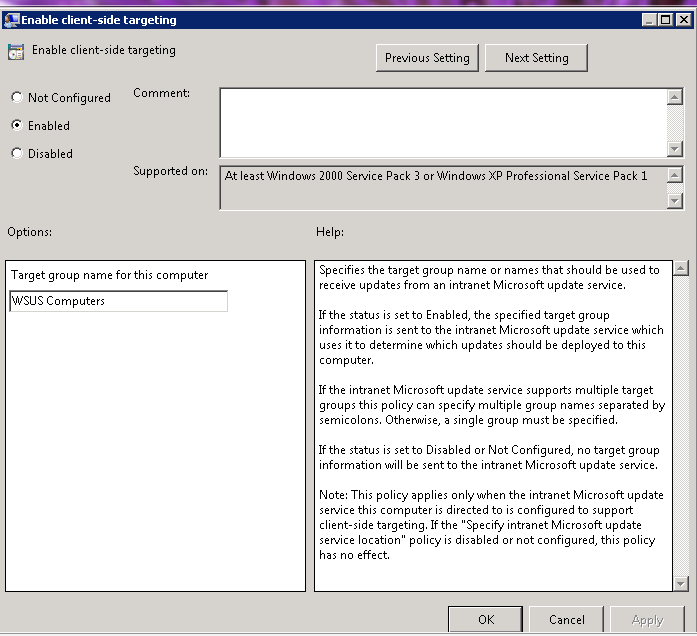 For the client computers configured with an Active Directory-based GPO, it will take a few minutes (up to 30min) after Group Policy refreshes to appear on the Computers page in the WSUS console. 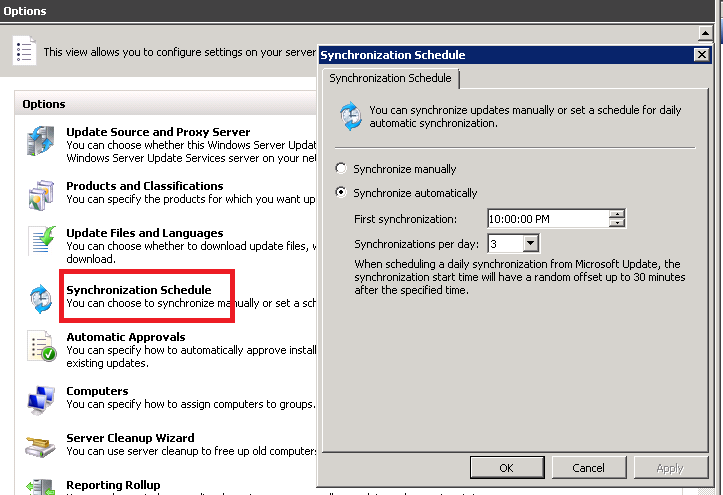 To synchronize schedule, from Update Services, go to Synchronizations, then click on Synchronization option from the right pane, then choose Synchronization Schedule from the Options page, you may choose to manually or automatically synchronize schedule. In this Tutorial we will choose Synchronize Automatically. Click OK when finished. I hope that this guide helped you configured and linked WSUS with GPO(s) in your domain network.